Well, the clue is in the name. Adaptogens are a unique class of herbs that quite literally help the body to ‘adapt’ itself depending on our emotional and physical needs. They are non-toxic, help your body to achieve balance and reduce your body’s stress response. For example, adaptogens can help bring clarity in times of confusion, bring peace to a racing mind and bring calm in times of stress. And although this might be the first time you have heard about them, they are not the new “superfood” kids on the block. Adaptogens have been used for centuries in Ayurvedic and Chinese medicine. Adaptogens work by impacting and helping to control the release of stress hormones, such as cortisol, from the adrenal glands and bring balance to our HPA axis – the hypothalamus-pituitary-adrenal axis, that is our innate central stress response system. They tend to work like a thermostat. When the thermostat feels that the room is too cold, it will smoothly bring the room temperature up, and vice versa, when the room is hot, the thermostat cools it down. In other words, adaptogens will work to boost your energy when it is falling low and calm you down if you are stressed. Here are some of my favourite adaptogens that are easily available to purchase online and that when used appropriately, will help those of us who are in need of some TLC. Lion’s Mane is the king of neuroprotective mushrooms and is helpful for anyone struggling with brain fog or memory loss. Nerve Growth Factors (NGFs) found in this mushroom have the ability to regenerate and protect brain tissue. One study gave patients four 250 mg tablets containing 96 per cent mushroom powder three times a day for 16 weeks. Those who took the lion’s mane powder showed significantly increased scores on the cognitive function scale compared with the placebo group! Lion’s mane has also been shown to be beneficial for people struggling with anxiety and depression. Post-menopausal women who consumed lion’s mane baked into cookies showed less anxiety and depression and also had better concentration in just four weeks. 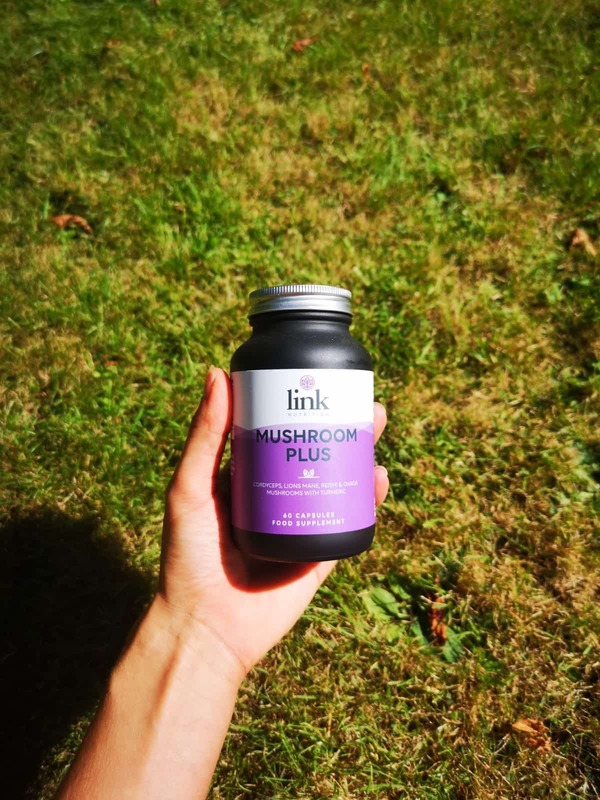 My favourite way to boost my Lion’s Mane is with Link Nutrition’s Mushroom Plus Blend which includes other adaptogens such as Reishi (below), Cordyceps and Chaga mushroom. Also known as the “mushroom of immortality,” Reishi is a Chinese herbal mushroom that comes in six different types. The most potent variety, red reishi, is used for its immune-boosting properties. Red Reishi is primarily composed of complex carbohydrates called water-soluble polysaccharides. According to a 2009 study in the journal Bioorganic and Medicinal Chemistry, the polysaccharides in Reishi mushrooms help promote longevity. It has also been used to help treat viral infections, like the flu, anxiety, high blood pressure and insomnia. I prefer to take reishi in a supplement format due to its bitter taste – my go-to is Link Nutrition’s Mushroom Plus – filled with adaptogenic mushrooms for an all-round boost. Ginseng is the celebrity of the adaptogens. You will often find this herb in natural energy drinks and tonics, touted as offering a similar kick to caffeine. It is acknowledged for its ability to improve your mental concentration, boost energy and support your body with stress. There are over five types of Ginseng, all with their own unique benefits and strengths. Brazilian Ginseng is best known to help hormone balancing whereas Asian Ginseng is famed for those needed a boost in energy. Want to add Ginseng into your routine? Try making it as a tea with the fresh root or dried root powder. Ashwagandha is the most researched of the adaptogens herbs, and famous for its plethora of benefits. Its literal meaning is “smell of the horse” as it is suggested to give you the strength of a stallion! This adaptogen has a reputation as a calming nervine that can help with anxiety, fatigue, and insomnia. It is also used to support and boost immune system health. There have even been studies to suggest that Ashwagandha can be used by those who suffer from low thyroid function, by increasing T4 and T3, both hormones that contribute to balanced thyroid health. Holy basil, also known as Tulsi, is one of India’s most powerful herbs and has been used in Ayurvedic medicine for over 3000 years. Its benefits range from memory support, anxiety, upset stomach and nausea through to acting as an expectorant for bronchitis. It can be tricky to get your hands on the herbal tonic, but many high-street health food stores now sell Tulsi as a tea. Pukka Herbs do a delicious three Tulsi tea. To get the benefits from the tea, ensure you stew the tea bag for at least 10 minutes in hot but not boiling water. Rhodiola is best taken in supplement form. Our favourite is the Viridian Rhodiola Complex. As we mention below, always consult with your GP or registered nutritionist before taking supplements or herbs. 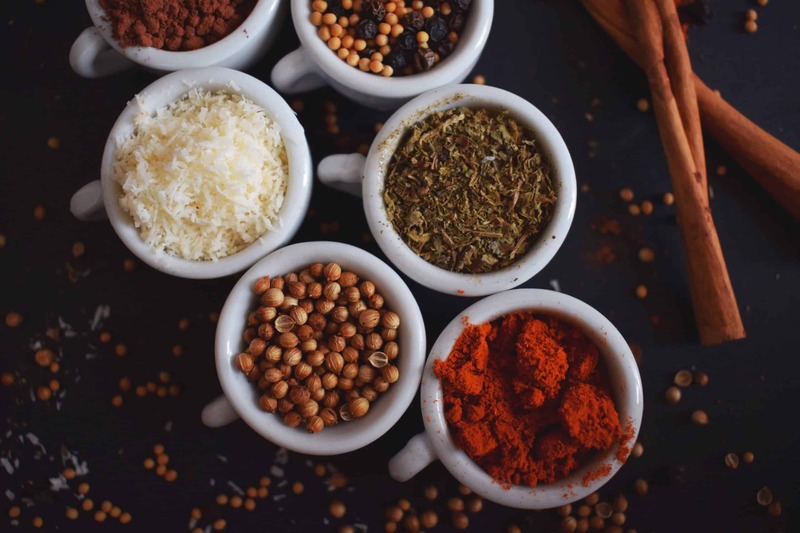 Adaptogens can be taken in many different forms – they can be taken in their whole food state, as combination formulas, powders, teas, tinctures or supplements. Many people take adaptogens every day, whilst others will take them several times a day based on their needs. Make sure you consult with a licenced nutritionist or healthcare professional about which adaptogens and dosages are right for you. A 2018 study found that common herbal supplements can interact with prescription medications, and many people don’t tell their doctors which over-the-counter drugs and supplements they’re taking, so please be mindful of this before you jump on the bandwagon. And if you don’t notice a difference instantly, be patient as adaptogens are powerful, but slow-acting, so it can take up to a few weeks to notice a difference. Adaptogens don’t treat a specific condition. Instead, they’re for anyone looking to boost overall well-being. That said, there’s not a huge amount of scientific research on how adaptogens affect human health. Most studies have been conducted either in animals or in human cell samples; even those that have been published tend to appear in small, niche journals. That being said, the literature on adaptogens is ever increasing and due to the minimal side effects of most adaptogens, it might be worth experimenting (alongside the advice of a health professional) with adaptogens to help support your body through times of stress or to achieve balance.